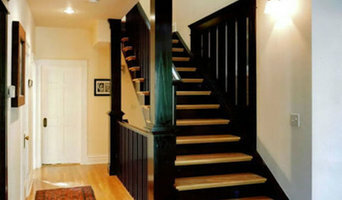 Denver's Reliable Home Remodelers & Basement Specialists. As a leader in the industry, we are committed to excellence in building, quality and craftsmanship. 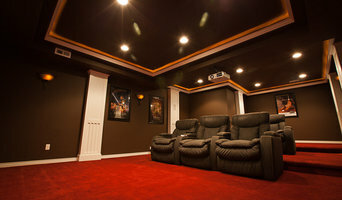 We specialize in new home construction, basement finish, home theaters and remodeling. Finished basements with integrity for over a quarter century, Brothers Construction pioneered basement finishing in Denver, Colorado in 1978. Brothers Construction has set the benchmark for finished basements of enduring quality, design, and value. 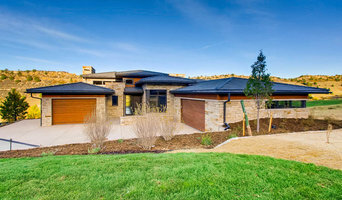 Locally owned and operated, Brothers Construction pioneered the finished basement industry in Colorado and delivers functional insight, aesthetic sophistication, and craftsmanship. Here's what you get when you work with us: - 35 years of experience - we've seen it all, and we're not intimidated by any layout challenges. - Superior layout and design concepts that others don't even think to consider. - No unnecessary costly frills that don't actually address your basement finishing goals. - Transparency in our pricing - no hidden costs, no surprises. - Industry leading Lifetime Warranty Whether a family room, bathroom, wet bar wine cellar, or a state of the art home theater, Brothers Construction will give you focused, personal attention, all at prices significantly below our competitors. Find out for yourself how affordable luxury can be. Contact us for a no-cost, no-obligation consultation. Earthwood Custom Remodeling, Inc. is a local, family owned and operated company with more than 40 years of combined construction experience. We provide a variety of comprehensive services. 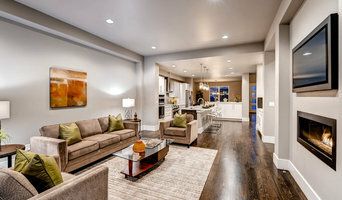 Denver Area's Trusted General Contractors - 3x Best of Houzz! For over a decade, Vertical Construction has earned an excellent reputation for high-quality craftsmanship and skill in carpentry. Global Construction LLC is a family-owned remodeling & construction services company that has been in business over several decades. We have the knowledge to work on some of the most complex projects. With more than 20 years of general contracting experience, I work on all manner of jobs ranging from smaller renovations such as bathrooms and basements, all the way up to full-home remodeling! If you're on the brink of a large home improvement project, remodel, or new build, you'll likely want to hire a general contractor in Meridian, CO. These professionals manage all aspects of the job to ensure it's completed on schedule and to your satisfaction. Whether you’re trying to find Meridian building contractors for a new construction, or home improvement contractors to spruce up your existing place, it’s important know exactly what role they will play in the project. Read more below for a list of must-ask questions. General, or construction contractors, are often known as project managers. They oversee the entire remodeling or new home construction project and facilitate all day-to-day tasks that move it toward completion. A Meridian general building contractor will work with your architect to review plan as you build a house and ensure everything is in place before work is started as well as arrange for permits and necessary inspections. While good local home improvement contractors in Meridian will have the skills to handle certain tasks onsite, such as carpentry, he or she is also responsible for hiring subcontractors for the majority of jobs, such as electrical work, painting or plumbing. In addition, the general contractor should be on-site regularly to inspect the progress and resolve issues. Here are some related professionals and vendors to complement the work of general contractors: Architects & Building Designers, Interior Designers & Decorators, Landscape Architects & Landscape Designers, Kitchen & Bath Designers, Specialty Contractors. Home remodeling contractors are a must for successful completion of a renovation. Because of this, it's essential that you do your homework before deciding on the right general contractor in Meridian as you remodel or build a house. Inspect bids carefully. Was it ready when the contractor promised it? Was the bid for building a home unusually high or low? Each of these things can be very telling: A late bid may reflect timing standards, and an off-the-mark bid could be code for a pricey premium or a deliberate underbid to score the remodeling job. You should call references, carefully read reviews and visit completed projects in Meridian, CO to see if they’re what you expect for your job. Once you do secure your local Meridian contractors, read the contract very carefully to be sure everyone is on the same page. Find a Meridian contractor on Houzz. Narrow your search in the Professionals section of the website to Meridian, CO home contractors. You can also search for photos in Meridian, CO and contact the Meridian general contractor who worked on the project.